DELIGHTFUL SETTING ON OVERLOOK LANE! THIS 3 BEDROOM, 2.5 BATHROOM HOME WITH 2-STALL GARAGE WILL GIVE YOU 1,456 SQ FT OF GENEROUS SPACE TO MOVE ABOUT ON THE MAIN FLOOR. 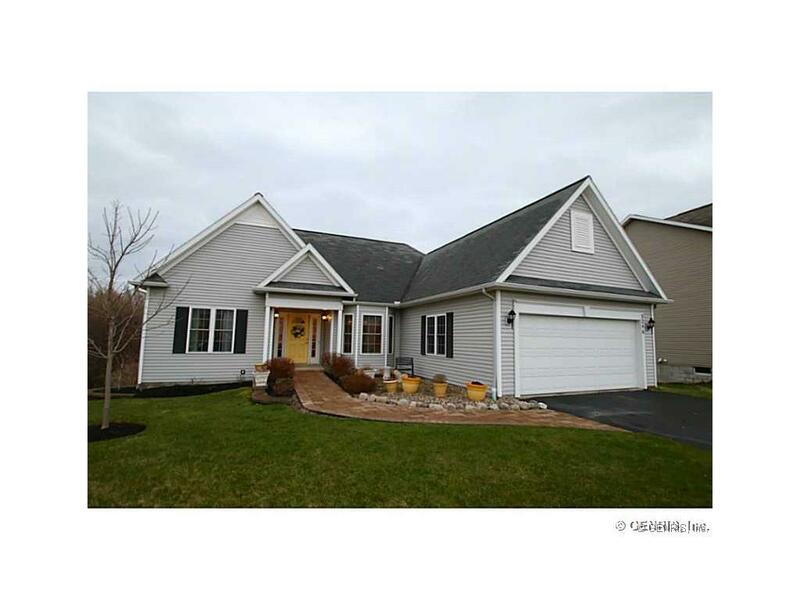 HOME WAS TASTEFULLY BUILT IN 2008 AND THEN UPGRADED WITH FINISHED WALK OUT BASEMENT AND HALF BATH IN 2010!! THERE IS A SCREENED IN PORCH ON THE MAIN FLOOR AND BELOW IS A GROUND LEVEL PATIO LOOKING OUT ON GREEN SPACE. THE BACKYARD LANDSCAPING IS EXQUISITE. ALL SET FOR YOU TO MOVE IN AND ENJOY!